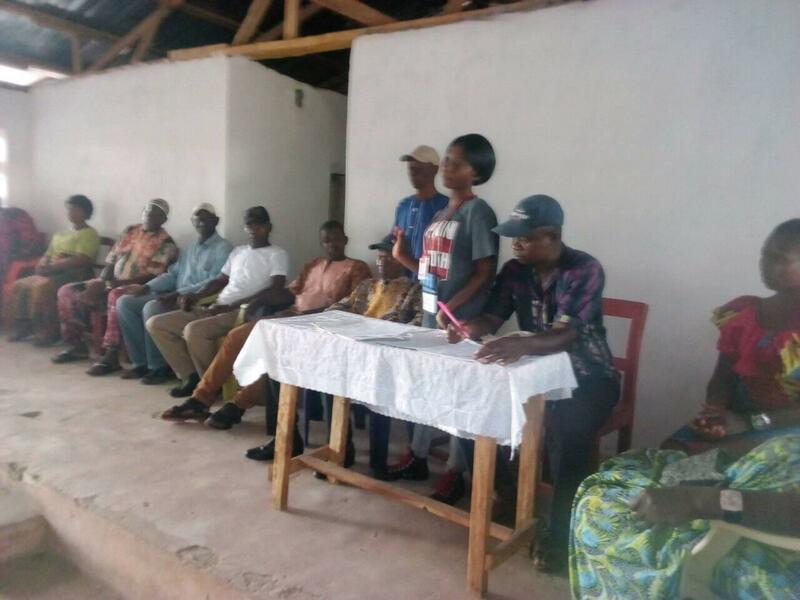 Our Alumnus Clarence Sarty from the team Liberia who shared their experience in a local radio station in Ganta city Nimba County Liberia. In August 2018, Meridian welcomed 109 high school students and adult mentors from twenty-three African countries to the U.S. for the Pan Africa Youth Leadership Program (PAYLP), an annual three-week academic and cultural exchange on leadership development and civic engagement. Below is a blog post written by Vanessa Elongo Meridian’s PAYLP Intern who is originally from the Democratic Republic of the Congo and is an international student at George Mason University studying Integrative Studies with a concentration in International Studies. “It has been almost two months that our PAYLP 2018 Alumni of the summer cohort returned to their home countries and started to share their United States experience with their family, friends, peers, teammates, community, and church members. Based on the pictures, videos, and written reports that participants shared with the PAYLP team at Meridian, our Alumni have demonstrated a significant position of taking action by using the tools from the program to tackle different problems they are being faced with in their local communities in sectors such as education, social entrepreneurship, sports, environment, civil Rights, health, and others. After they have returned to their home countries, our Alumni have to submit a report describing how they shared their experiences in the PAYLP and the United States. It is only through actions that the knowledge acquired takes meaning. The participants used all the materials learned from workshops, personal interactions with host families, and exchanges with their peers to share their different experiences. Tidjani Diagana participant from Mauritania leading a workshop at an Intensive English Center in Nouadhibou. 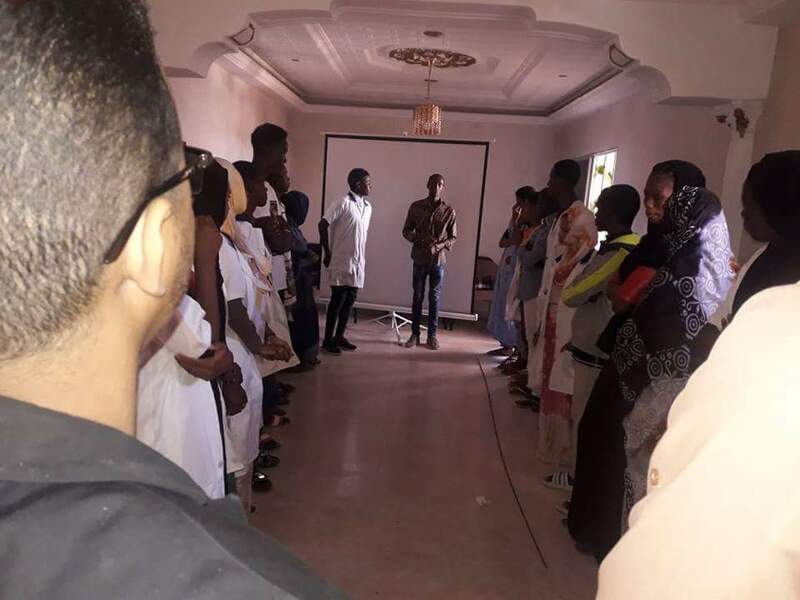 For example, one of our Alumnus from Mauritania, Tidjani Diagana led panels and workshops to share his experience with his peers at an Intensive English Center in Nouadhibou. In his presentation he talked about leadership, social entrepreneurship, the importance of community service and community engagement, and conflict resolution. Among the activities used during his presentations, Tidjani used the diplomatic simulation technics that helped the participants and him to identify a conflict in a nearby village between farmers, local NGOs and herders. Archie Younga Mbemba from Congo sharing his experience from PAYLP at his community church. One thing that stood out during the participants’ return as they are sharing their experience during PAYLP and in the United States, it is the diversity among their audience. This diversity includes schools, family/friends, churches, teammates, and local community. Some examples reflecting the diversity of the audience: Archie Younga Mbemba, our Alumnus from Congo/Brazzaville shared his experience from PAYLP and United States with his community church; Regiana Mafinda from Sierra Leone shared her experience with the community members of the Ngaiya Community; and our Alumnus Clarence Sarty from the team Liberia who shared their experience in a local radio station in Ganta city Nimba County Liberia. Regiana Mafinda sharing her experience at the Ngaiya Community Center. These are just some example that reflect the diversity of the program, and the goal of PAYLP is to empower and inspire youth in diverse areas of their lives. During their presentations/workshops in their home country the participants also discussed about a project they want to implement through an action plan, its goal and importance. An action plan is a series of activities that must be performed for a project to succeed. An action plan needs specific tasks, resources (funding), and a time horizon for the project to be completed. On a big scope, many projects focus on issues related to education, environment, sports, social leadership, entrepreneurship and civil rights. The goal of those projects is to bring a positive change in a local or national level of a society. 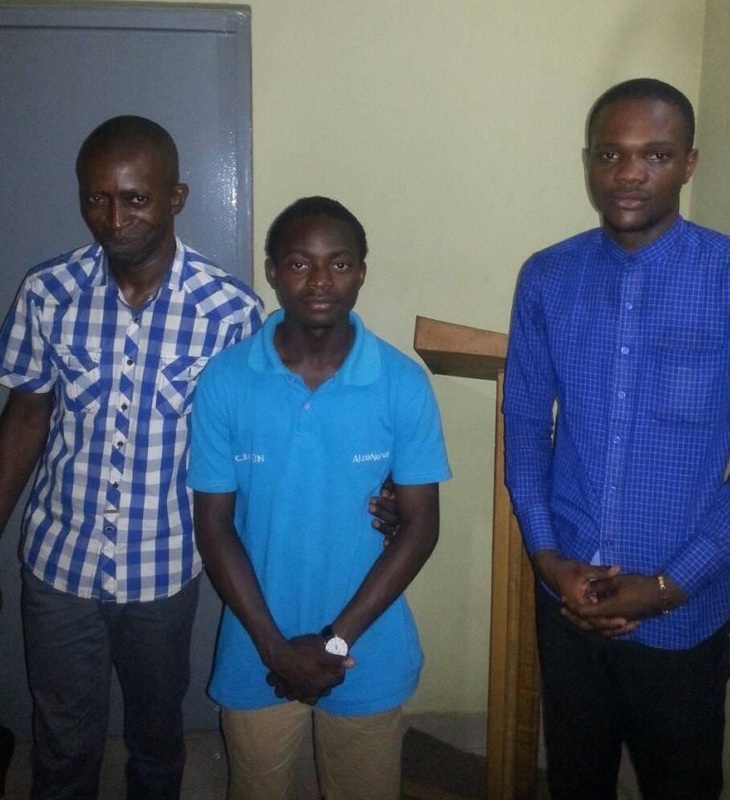 Our Alumni Diarrassouba Salimata, Adjoua N’guessan, Kouakou Kouassi, Amoakon Tiemele, Adja Timite from team Cote d’Ivoire who shared their experience with the educative community of Yamoussoukro. 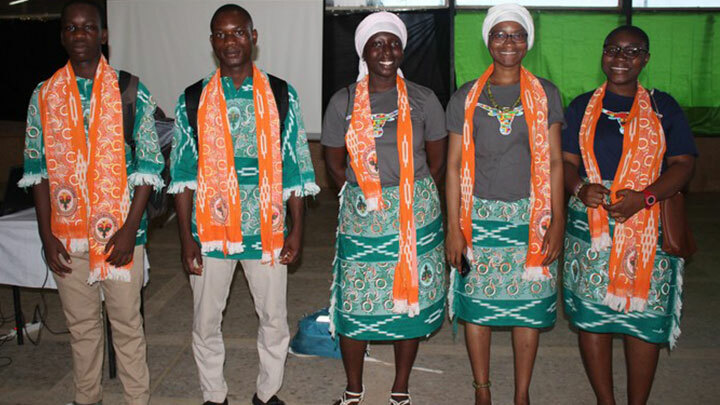 From the West coast, down to the South through the Center of Africa, the transformation of our amazing participants was not only reflected in their actions. However, there is also a transformation of their behavior and personality. Having as motivation their determination to achieve their goals, some participants have been transformed during and after their participation in PAYLP. For example, Laetitia Obone from Gabon is the successful story in what concerns behavioral transformation. Her basketball coach and supervisor in Gabon noted about her that: we are extremely proud of our daughter Letitia. We noticed a significant change in her behavior. Particularly in terms of self-confidence and public speaking. Indeed, Letitia was a very shy girl, who had trouble taking initiatives and getting to the front of the stage. However, since her return from the United States, she is completely different. She now speaks easily in the public; she takes initiatives and behaves as a true leader. She has a tremendous impact on generation, and she has become an example to her teammates and takes on this new status extremely well. In addition, she works for her community by using basketball as a tool to impact other young people. 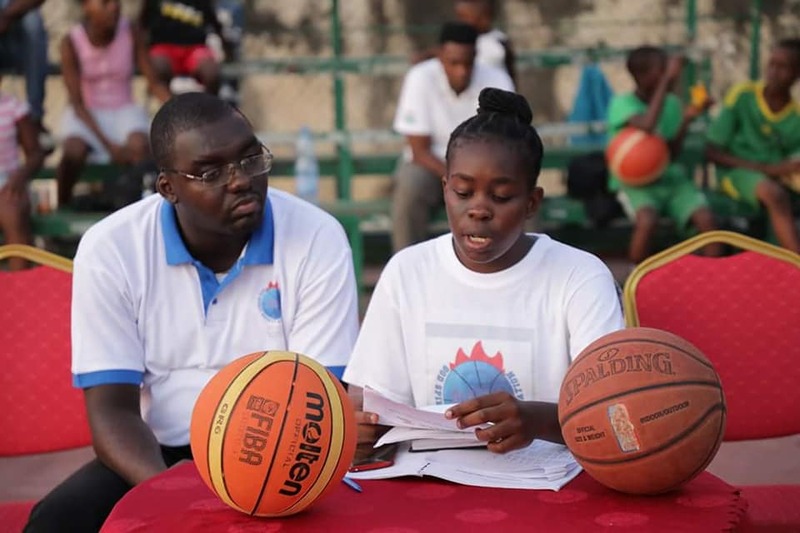 Laetitia Obone from Gabon with her basketball coach. POST TAGS: Africa, Exchange, Global Leaders, International Exchange, Meridian Alumni, PAYLP, U.S. Department of State.